Horticulture is diverse incorporating 140 commodities, including industries such as vegetables, fruit, nuts, nursery, turf, cut flowers and extractive crops. Table and dried grapes, but not wine, are also part of the sector. The major growing areas for edible horticulture include: the Goulburn Valley of Victoria; the Murrumbidgee Irrigation Area of New South Wales; the Sunraysia district of Victoria/NSW; the Riverland region of South Australia; northern Tasmania; southwest Western Australia; and the coastal strip of both northern New South Wales and Queensland. 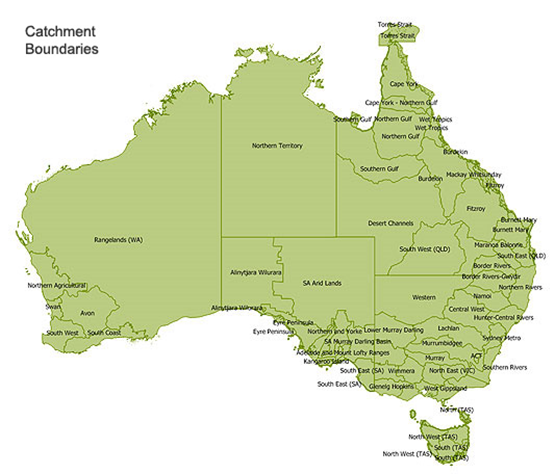 Nursery and turf production generally occurs within or close to the capital cities and regional centres. Banana, pineapple, mandarin, avocado, mango and fresh tomato production is concentrated in Queensland; stonefruit and oranges in New South Wales, Victoria and South Australia; processing potatoes in Tasmania; fresh pears, canning fruit and processing tomatoes in Victoria; and apples and fresh vegetables in all states. Horticultural activities have both positive and negative impacts on the external environment. Many relationships are complex (e.g. biodiversity) and poorly understood, let alone valued. Potential environmental impacts are changes that can occur in the environment as a result of horticulture production practices. Risk assessment is required to determine whether the potential environmental impact is likely to occur within a particular enterprise, and to determine the likely significance of the impact, based on the management of each practice. A comprehensive summary of environmental impacts associated with fresh produce is provided in an impact identification table within the environmental assurance guidelines. Horticulture’s geographic diversity is dependent on climatic conditions (temperature, rainfall and extreme events) and access to natural resources, especially water for irrigation. The horticulture industry manages a complex set of Natural Resource Management (NRM) and environmental issues, including soil fertility, irrigation-induced soil salinity, soil acidity, native vegetation conservation, weeds, greenhouse gas (GHG) emissions, water use and water quality. It acknowledges environmental stewardship as an industry priority and has invested heavily in NRM programs.